I thought it might be interesting to show how we design our collections and then incorporate those designs into licensed artwork for manufacturers. We usually start with a main idea. We always design a focal or highlight pattern and then design 5-6 additional patterns to coordinate with the focal. Having coordinating patterns is especially important for fabric and some other manufacturers. We get requests from manufacturers that we work with for certain types of occasions or things they are looking for. In this case, the manufacturer was looking for baby shower ideas. 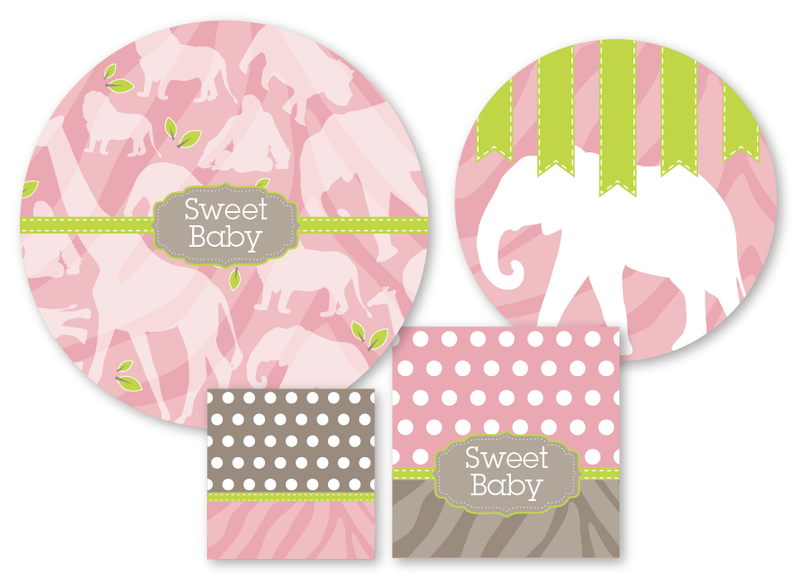 I really love this Jungle theme and hope it gets picked up for fabric or party ware. 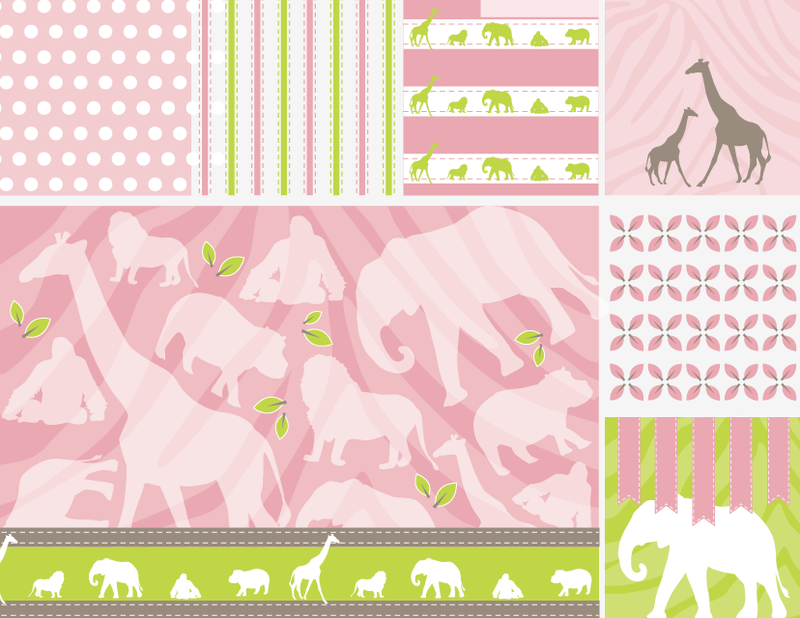 We are working on some vinyl wall decals, for a new site right now using a version of this collection. We also have this collection in blues for a baby boy. Hope you like it as much as I do!